Cloud services are ideal for small businesses because they provide maintenance-free access to sophisticated technology and streamlined operations. If you're looking to up your business's technology game without creating a major IT headache, a cloud-based solution is likely your best option. Cloud (or hosted) services provide a variety of options for you to choose from, so read on to find out what the top 10 cloud services are, and which ones best suit the needs of you and your business. Balancing the books for your business can be complicated, but a service that records billable hours, generates financial reports, and takes care of invoices makes everything much simpler. Add on the option to control travel expenses, increase financial transparency, or ensure compliance with various business and tax regulations, and you’ve got a powerful financial tool at your disposal. Monthly costs for basic cloud-based financial services can be as low as $25, and the time they save is well worth the investment. There are many companies now offering financial software as a hosted service and some popular options are QuickBooks, Xero, Freshbooks, Kashoo, Wave, Paychex, WePay and Cheqbook among many others. Time tracking is one of the biggest ways cloud-based services help with project management. A minute-by-minute breakdown of how much time you and your team spend on particular tasks can help your company meet deadlines and keep clients up to date on project goals. Budgeting, scheduling, and document-sharing options are also available with many project-management services, and monthly costs start around $40 for most packages. Some examples of companies offering this type of service are Mindomo, Mavenlink, Wrike, Actionspace, Intervals, Jetbrains, AtTask, and TeamHeadquarters. Cloud-based CRM services can perform near miracles with your customer data. These services automatically capture and analyze important information about your customers and potential customers, and they maximize your business’s efficiency by marketing your products to the right people at the right time. Finding a CRM service that aligns closely with your business’s culture is important, so take advantage of the free trial period usually offered by these services to make sure you have a good match. While Salesforce.com is probably the most well know CRM, there are many other alternatives such as Zoho, SugarCRM and SageCRM. For more information, visit our CRM guide. Creating, managing and maintaining an internal database requires specialized skills that are not always readily available to a small business. In addition, the amount of data that even small businesses have to keep safe, organized and accessible is growing rapidly, and keeping internal hardware updated for this task can be a full-time job. Cloud Database as a Service (DBaaS) solutions attempt to solve this problem by delivering access to scalable databases that support applications without the need to administer the database. Maintenance tasks such as upgrades, backups, failover, security, monitoring and scalability are all handled by the service provider. The biggest issue with cloud-based databases is security, so research potential providers’ security certifications and methods before entrusting them with any sensitive information. IBM Cloudant, MongoDB, Amazon DynamoDB, Clustrix, Oracle, and GenieDB offer services worth consideration. Storing finished and in-progress documents online is a great way to increase employee productivity by providing quick access to file sharing and making collaboration easier. Online storage systems can sync documents across multiple devices and keep you and your employees completely up to date on edits and changes. Accounts can be linked to Facebook and Twitter to make disbursing information easier still, and some data providers offer online storage plans free to users. While there are certainly a lot of options to choose from, Zoolz, Dropbox, Opendrive, Mozy and Justcloud are among some of the most popular solutions. Keeping an IT department up and running is a challenging job, but there are some cloud services to help out. These services are generally offered a-la-carte instead of in a package, allowing you to choose only what your IT department needs. Especially useful services can troubleshoot problems, automate some IT functions, keep network device and application statuses up to date, and eliminate false security alarms. Monthly costs are based on the services you choose and the number of hosts, and they can be as low as $20. Some very interesting solutions that are worth checking out are offered by companies such as Puppet Labs, RightScale, ServiceMesh, ManageEngine, AppNeta and Kaseya. Internet-hosted telecommunications are a huge leap forward from traditional PBX equipment, and you can keep costs low by selecting only the services you need. From instant messaging to web conferencing, shifting your communications needs to a cloud-based service will eliminate technical hassles and help your business maintain reliable networks of communication and a truly professional image. The recent evolution of Voice over IP (VoIP) services, which deliver voice communication over the Internet, has made cloud-based communication services nearly indispensible in today’s business world. Monthly costs are often on a per-user basis, making these services an especially good deal for small businesses. For a more detailed information on this service please review our in-depth Unified Communications article. Cloud-hosted e-mail services can eliminate major IT problems for a surprisingly low cost. With plans starting at $2.00 per user/per month, cloud e-mail services provide all of your employees with business-class e-mail service while protecting your electronic communication from spam and viruses. Technical support is generally available 24 hours a day, and users can access their e-mail with web applications, from Outlook, or from their phones. Examples of this type of service are offered by Rackspace, Zoho, Google and Microsoft. E-mail marketing is a valuable tool for reaching existing customers and creating new ones, and utilizing the cloud in your e-mail marketing campaigns is a smart move. Cloud-based marketing services can provide pre-designed templates for e-mails, schedule delivery of e-mail campaigns, and keep mailing lists organized and updated. You’ll get powerful feedback on which of your e-mails were opened in what regions and on what types of devices, and you’ll have the option to eliminate poorly performing e-mails and focus on the successful aspects of your campaign. Starting at around $10 to $15 per month, these services are a low cost option to help a business keep in touch with existing customers, and market to potential prospects. Constant Contact, iContact, Aweber, Campaigner and MailChimp are among some of the most popular services. Website hosting provides the ultimate in flexibility and cost effectiveness, and most hosts allow you to run your choice of software with your site. With cloud-based hosting, you have access to web resources from a network of physical servers, and you get a huge increase in reliability and security. Companies that consider a website to be business critical should consider a dedicated server as opposed to a shared server to facilitate fast page load times and security. 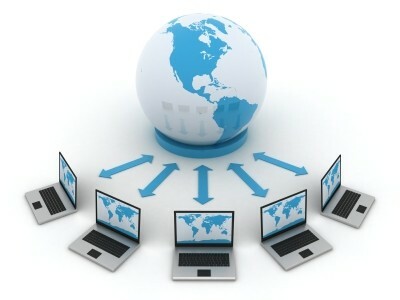 There is a very long list of companies offering web hosting services. Some of the more recognizable brands include GoDaddy, InMotion, Fatcow, HostMonster and HostGator. Cloud services have a multitude of uses for small businesses, and they help grow your business quickly by eliminating the up-front costs of servers and IT help. These services enable your business to run more smoothly and efficiently, and they give your image that extra bit of polish that makes your company stand out. Cloud-based services have evolved quickly in the past few years and are poised to become even more important in the future. Utilizing them now can make a big difference in the success of your business this year and in the years ahead.